Flight Centre is offering a promotion for $100 CAD off of any roundtrip flight from Vancouver to anywhere in Asia, when using one of the following airlines. When the promotion is used in conjunction with a route that is already at historically low levels, it can be a really great deal. Click on the departure date box to open up the calendar view and try dates between October and December, 2016. November is one of the drier months in Hanoi. 2. Go to the Flight Centre website and try searching for the same destination and dates that you found on Google Flights. 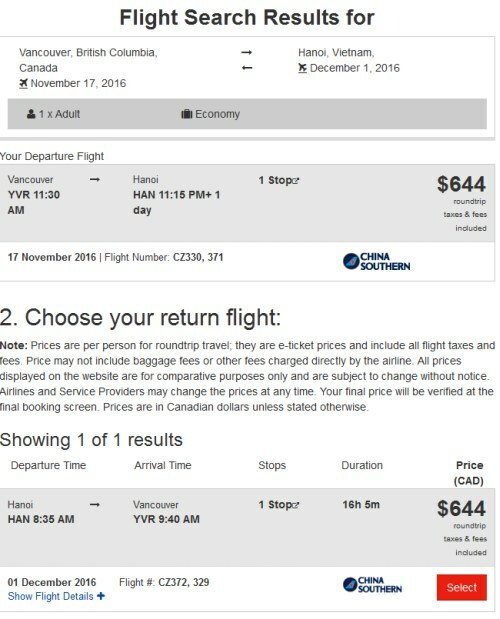 The price should show up as $644 CAD roundtrip on Flight Centre. NOTE: I'm currently getting a weird error on the Flight Centre website when trying to get to the verified price page for these flights. Presumably they can see these prices when you call, as they are showing up on all major booking sites. 4. When you call Flight Centre to book, they will subtract $100 from the price showing on their website. The number to call is 1-877-967-5302. Calling in, or visiting a Flight Centre location, is the only way to book and receive the $100 discount. vancouver, yvr, flight deals, asia, china southern, southeast asia, hanoi, han and vietnam. 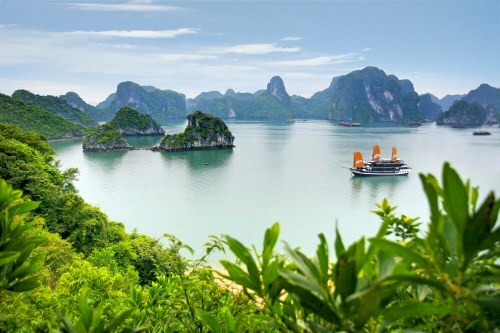 One Response to "Vancouver to Hanoi, Vietnam - $544 CAD roundtrip including taxes"